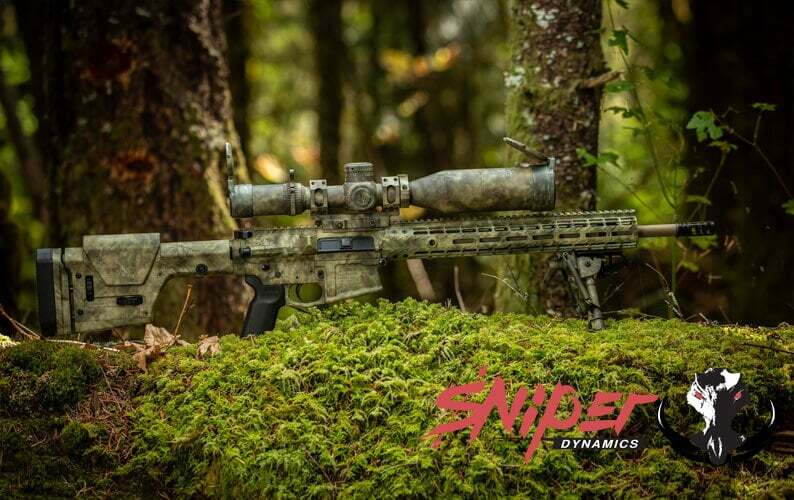 TWN is proud to announce the release of Sniper Dynamics’ new and enhanced StalkLand Legacy Reduced pattern! 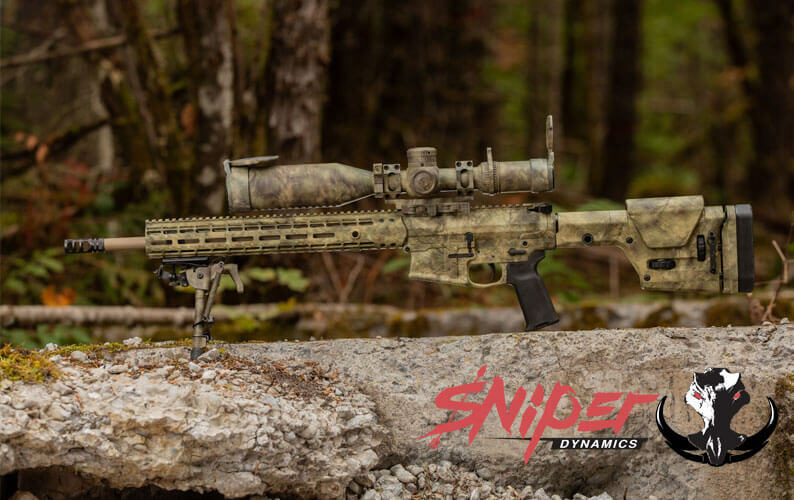 The veterans behind Sniper Dynamics are two former military snipers that utilized their training and experience to create an effective concealment pattern which morphs and adapts to the end user’s surrounding environment. 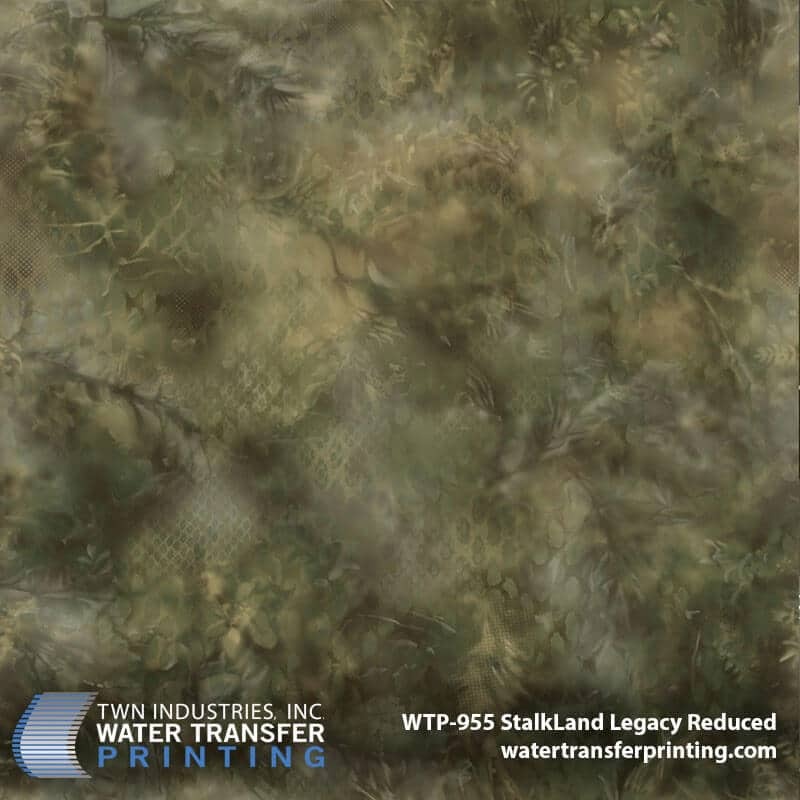 Want to customize your handguns, knives, or other gear in our StalkLand Legacy Water Transfer Printing films? We have a network of over 1,400 TWN Certified Processor who can dip your gear! 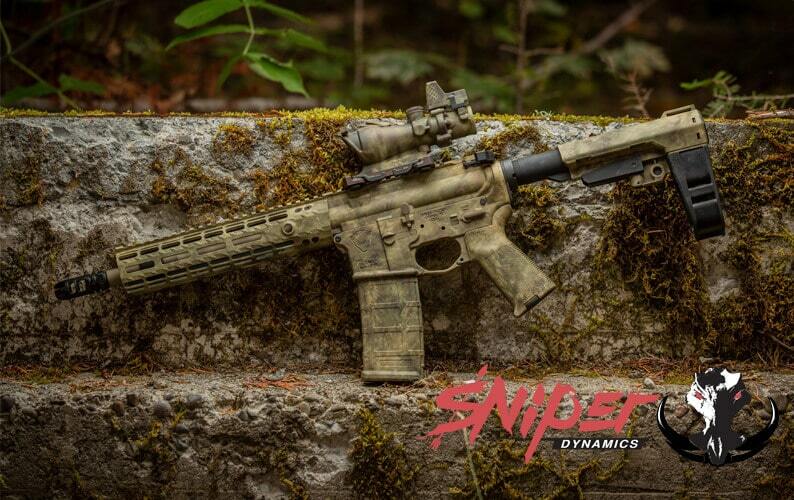 Beautiful Aero Precision M5E1 .308 dipped in StalkLand Legacy Reduced by none other than Commercial Hydrographics in Boring, Oregon. Sniper Dynamics’ reduced version of StalkLand Legacy features additional netting and terrain effects. The pattern is similar to the original but has been downscaled by 66% to provide more detail on small items like knives, eyewear, handguns, and more. Our StalkLand Legacy Reduced Water Transfer Printing film incorporates soft edges and blurred lines, which help conceal the user in the negative space inherently ignored by the human eye. Kershaw Knives sporting our all-new StalkLand Legacy Reduced Water Transfer Printing film on their Leek hunting knife. Kershaw Knives, a knife manufacturing company based out of Oregon, just announced StalkLand Legacy as their official camo! Their product line up is made up of pocketknives and sporting knives designed for everyday use, camping, hunting, and fishing. Sniper Dynamics has teamed up with Kershaw to feature our StalkLand Legacy Water Transfer Printing film on three of Kershaw’s popular knives; Leek, Blur and Scallion. Close-up? Check. StalkLand Legacy will conceal the user in varying terrain and at varying distances. Above all, StalkLand is a great crossover pattern that is effective for both tactical and hunting applications. The camo pattern works almost like a chameleon, morphing and adapting to the negative space within a given environment. StalkLand Legacy is a Multi-Environment Ready Concealment (M.E.R.C) pattern, when placed in a tan environment the human eye is drawn to the tan coloration within the pattern. Likewise, when placed in a green environment, the green coloration becomes more prominent. We are excited to add this new reduced version of StalkLand Legacy to our lineup. 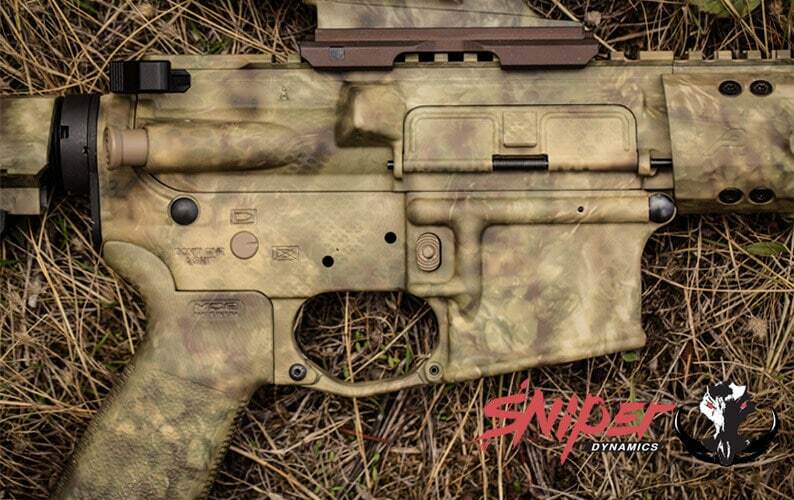 We feel it opens the doors for decoration on smaller items and gives both military and civilian personnel the opportunity to utilize this highly advanced concealment pattern on their hard goods! Want More? Here’s One More Photo of StalkLand Legacy Reduced. Enjoy. One last glamour shot before you go on your merry way. 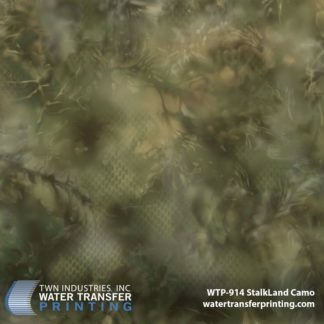 Dip your gear in StalkLand camouflage today!